"The focus with Mark X was on pure, integrated design. Our holistic exterior and interior design approach instantly shows its rewards…"
Mark X’s sumptuous interior and integrated exterior design theme embody future Lincoln luxury. 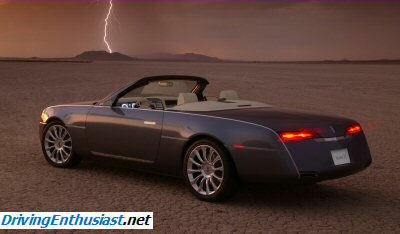 Mark X is Lincoln’s first convertible with a power-folding, retractable, glass-roofed hard top. 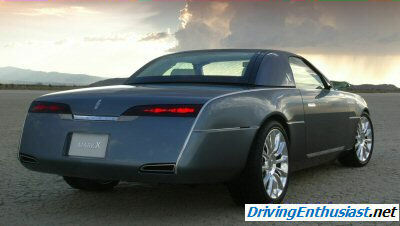 The forward-looking design aspirations of Lincoln vehicles in the 21st century are expressed by the Mark X, Lincoln’s first two-door convertible concept with a power-folding, retractable, glass-roofed hard top. 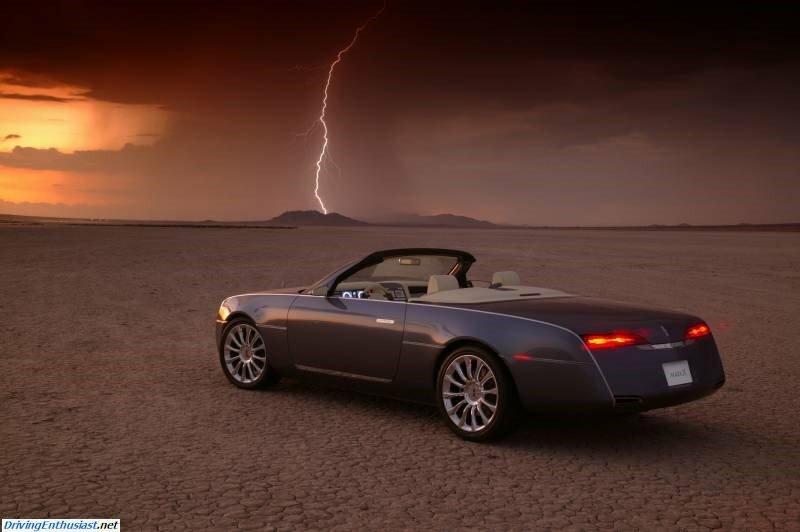 Mark X, pronounced "Mark Ten," is a two-seat luxury convertible roadster that blends design elegance with driving athleticism. The use of rich materials, varying textures and contrasting colors represents an evolution of the current Lincoln design philosophy. 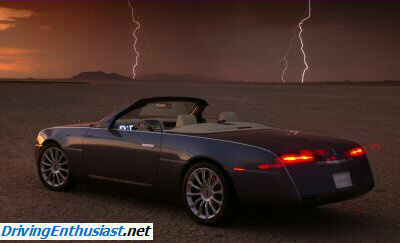 Throughout its history, Lincoln has used the Mark name to signal a truly special vehicle. 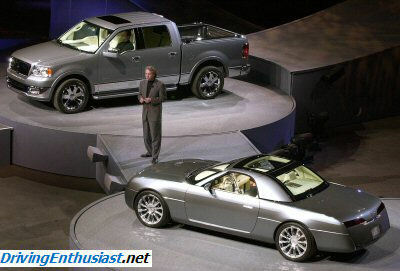 It began with Edsel Ford’s first Continental, the Mark I. Next followed the 1956 Continental Mark II, which quickly became a classic because of its high quality, clean styling and consumate good taste. The 1969 Mark III went on to sell more than 30,000 units, making it at the time, Lincoln’s most successful new model ever. Other Mark vehicles were introduced in the 1970s, ‘80s and ‘90s. The Mark X concept is designed to demonstrate the potential of the Lincoln brand by stretching its DNA to a sophisticated roadster. 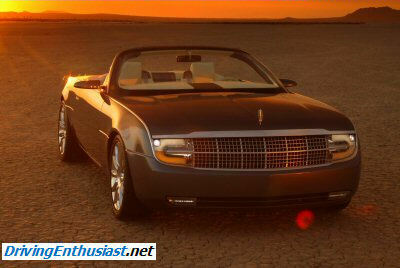 While a concept at this point, Mark X illustrates one possibility for expanding Lincoln into new luxury niches. "The focus with Mark X was on pure, integrated design," said Marek Reichman, chief designer. "Our holistic exterior and interior design approach instantly shows its rewards, competing against the best personal luxury convertibles in the world." Based on the rear-wheel-drive Ford Thunderbird architecture, Mark X features a 3.9-liter, 4-valve DOHC V-8 aluminum engine mated to a five-speed automatic transmission delivering 280 horsepower and 286 foot-pounds of torque. Its athletic stance is accomplished through 19-inch, 12-spoke machined aluminum wheels with P245/40/R19 Michelin tires on the front and wider P275/35/R19 tires in the rear. Mark X’s surface language is a model of precision engineering. 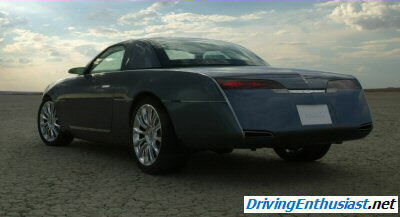 Emphasis was placed on integrating design into the functional aspects of the car from the expansive grille to the innovative door handles to the sleek rear fascia. The result is an uncluttered exterior where essential details like the delicate contrast of Atlantic Pearl paint, chrome accents and well-placed Lincoln emblems are subtle, yet drape the vehicle in elegance. The focal point of Mark X’s exterior is a new Lincoln grille. The polished aluminum egg-crate grille features a rhythmic pattern of solid horizontal and vertical chrome trim. 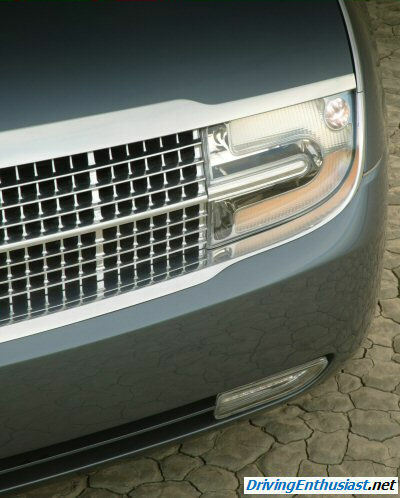 Mark X’s grille may appear on future Lincoln vehicles. Two High Intensity Discharge (HID) headlamps use an arc capsule to generate a faster response and produce double the amount of light compared to a conventional headlamp. Mark X’s sleek 185-inch profile is accentuated through the refined use of a chrome finisher along the upper shoulder line that wraps the entire vehicle and a subtle shoulder break that runs front to rear. Understated breaks also appear on the rear deck and hood while heated exterior rear view mirrors with directional indicators are elongated for visual emphasis. 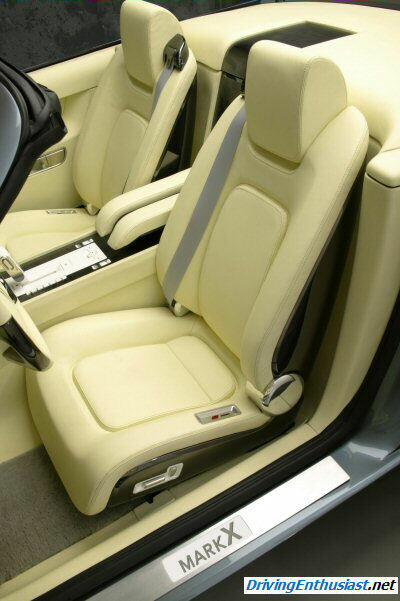 Occupants access Mark X using slender polished aluminum door handles that are flush-mounted to the driver and passenger door surface. 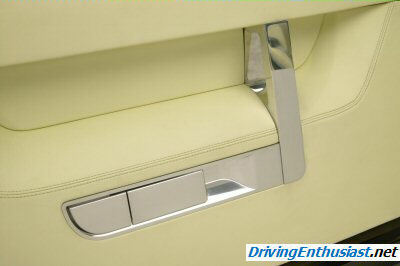 Thumb locators set in the door handles allow the handles to reveal themselves when pushed. Both doors can also be opened by remote keyless entry. To ease ingress and egress, one-piece hinges on the inside driver and passenger doors move the doors forward and out to give increased foot clearance at the front compared with conventional hinges. Mark X’s boattail rear fascia offers pure and clean surfaces without typical bumper offsets. 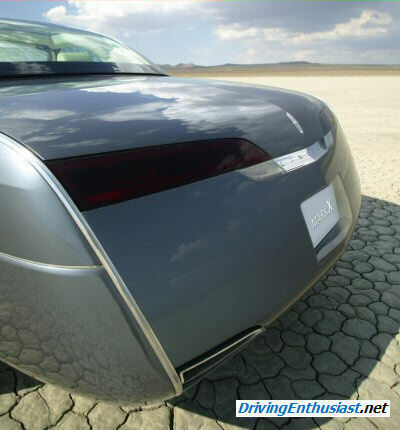 The wide, Light Emitting Diode (LED) tail lamps center the Lincoln emblem. The LEDs light up 200 milliseconds faster than traditional bulbs, consume less power and outlast more conventional lighting sources. Consistent with the vehicle’s integrated design theme, the dual exhaust pipes are neatly placed into Mark X’s sloping rear. At nearly 15 cubic feet, Mark X’s leather-lined trunk is spacious. 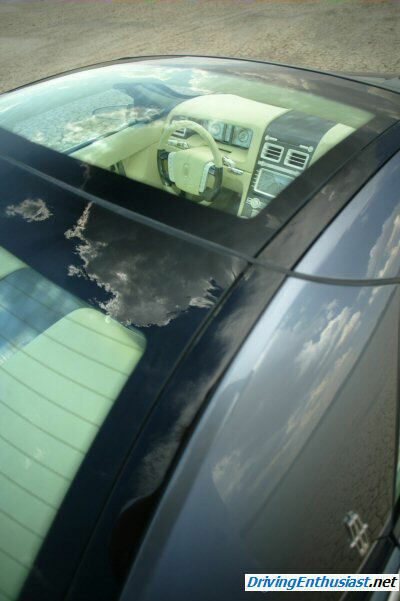 The fully powered two-piece glass roof is choreographed to stow smartly into the rear deck in less than 30 seconds without interfering with trunk space. 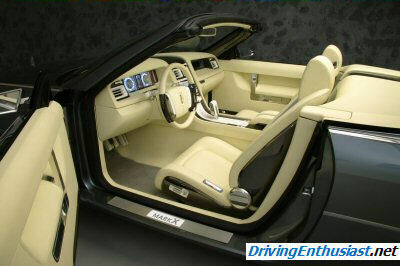 Mark X’s high-quality interior showcases Ford Motor Company’s tripling of investment in interior design. 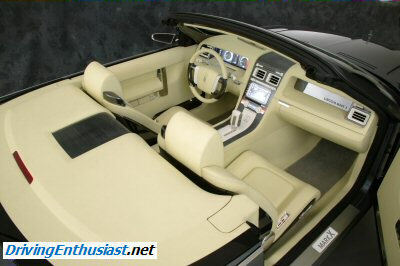 The interior workmanship of Mark X is flawlessly crafted. The right combination of contrasting colors and textured materials presents a modern and luxurious cabin. Mark X’s Lime Sorbet interior is complemented with White Corian accents, polished aluminum, dark chrome, natural grain leather seating, plush sheepskin flooring and tailored tone-on-tone stitching throughout. The instrument panel integrates a softly illuminated, jewel-like instrument cluster that combines analog with digital technology. A solid flowing center console constructed of ribbed dark chrome separates driver and passenger, unites the interior with the exterior and conceals a storage unit in the rear bulk head. A laser-inscribed "Lincoln Mark X" vanity plate above the glove box suggests an air of luxury. A four-spoke, power adjustable steering wheel wrapped with leather and dark chrome features cruise, volume and navigation controls. Mark X’s SelectShift transmission allows the driver to shift from manual drive to a five-speed automatic from the steering wheel or shifter in the center console. 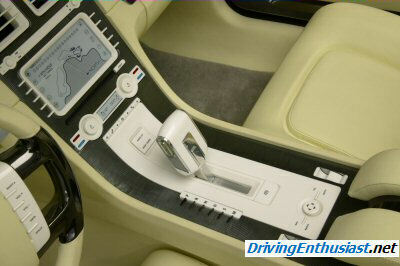 A multi-functional, 7-inch LCD information panel is operated by a mouse located in the center console and displays satellite navigation, climate control status and vehicle dynamics like seat memory or tire pressure. Occupants further benefit from Mark X amenities like rain-sensing windshield wipers, an automatic dimming interior rear view mirror and Lincoln’s exclusive THX®-certified audio system with six speakers, automatic mute control and automatic volume adjust. Dual zone climate control with pollen filtration allows a 30-degree F difference in temperature settings for the driver and passenger.